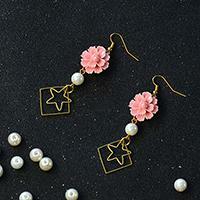 Summary: Wanna make a pair of pearl bead earrings? 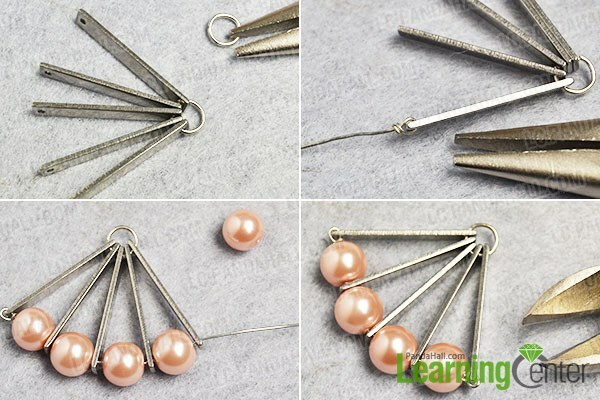 This tutorial will show you a pair of simple pearl earrings, hope you will like them. Now let’s check it. 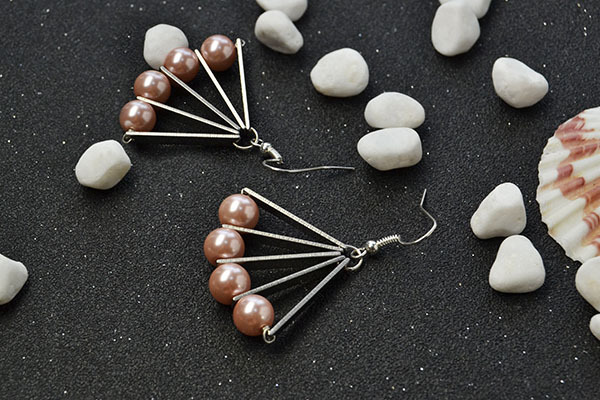 Today‘s project is a pair of fan shaped earrings made with pearls mainly, are you expecting it? 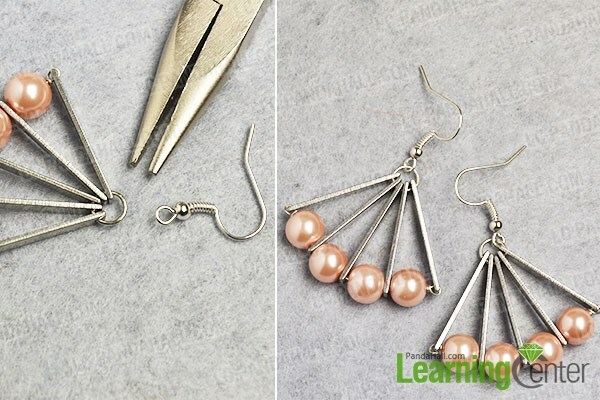 Next I will show the detailed steps in making the simple pearl earrings, follow me to together! 2nd, add 4 pink pearl beads to the wire among each 2 rectangle link and then wrap the other end of the wire to the last link, and snick off the excess wire. 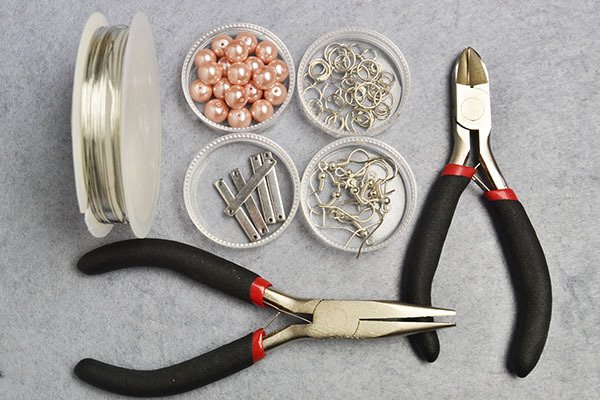 Attach an earring hook to the jump ring and then repeat above processes to make the other one. 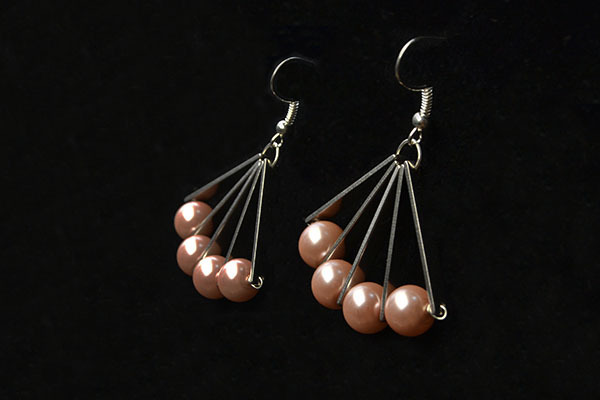 Here is the final look of the simple pearl earrings. Another picture for the fan shaped earrings. Wow, how delicate this pair of fan shaped earrings is! 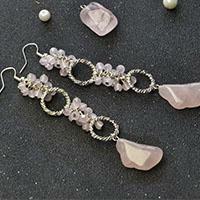 I can bet you love them really~ so if you also own the pearl bead earrings, just have a nice try now!